The End of the Reduced Aisle? Now, I’m not one to scare-monger but I’m sorry to say that recently I’ve noticed a worrying trend of not using the reduced aisle for its sole purpose in life. 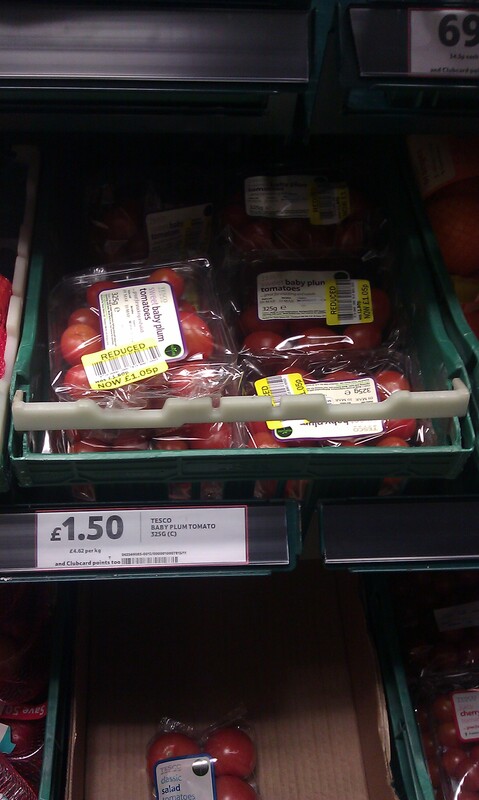 Take these tomatoes that were not to be found in the (then empty) reduced aisle, but indeed in the veg aisle. Supermarkets are now almost making us hunt for our bargains as if we’ve been in captivity for the past who knows how long. This does mean greater satisfaction when you do find something reduced but on the other hand you can no longer restrict your shopping to one handy little place. 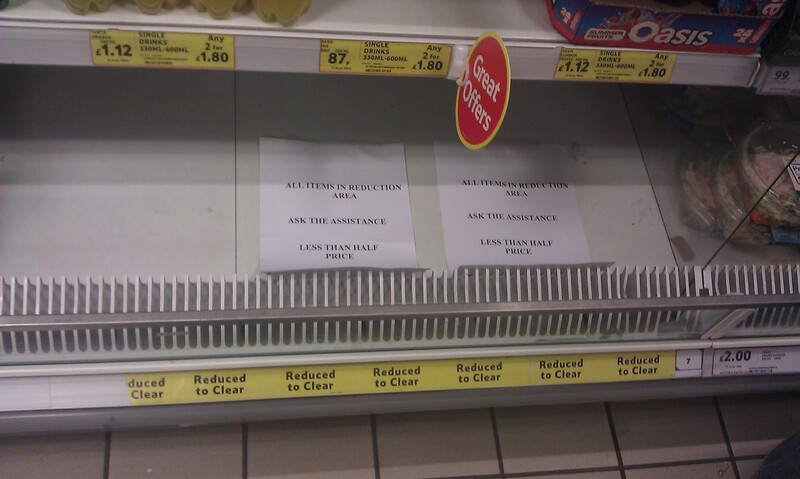 Check out this strange little notice I saw in my local Tesco as well – what does it mean?!! Answers on a postcard please! 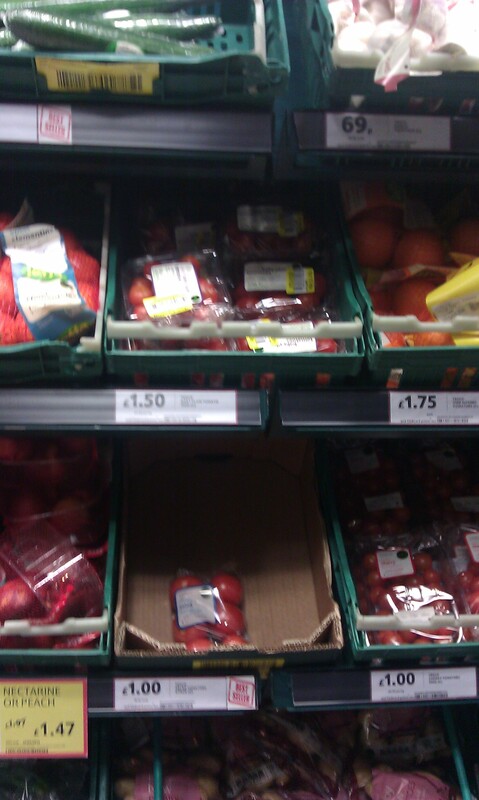 "All Items in Reduction Area - Ask the Assistance - Less Than Half Price"